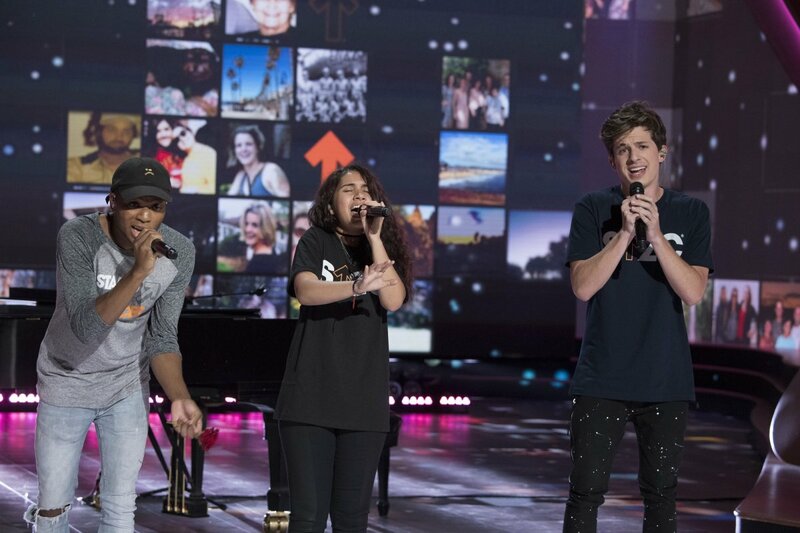 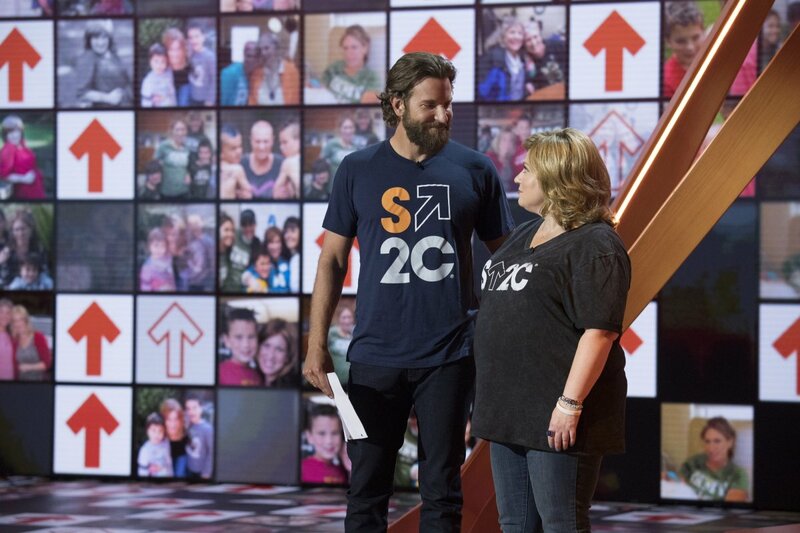 Uniting for a cause. 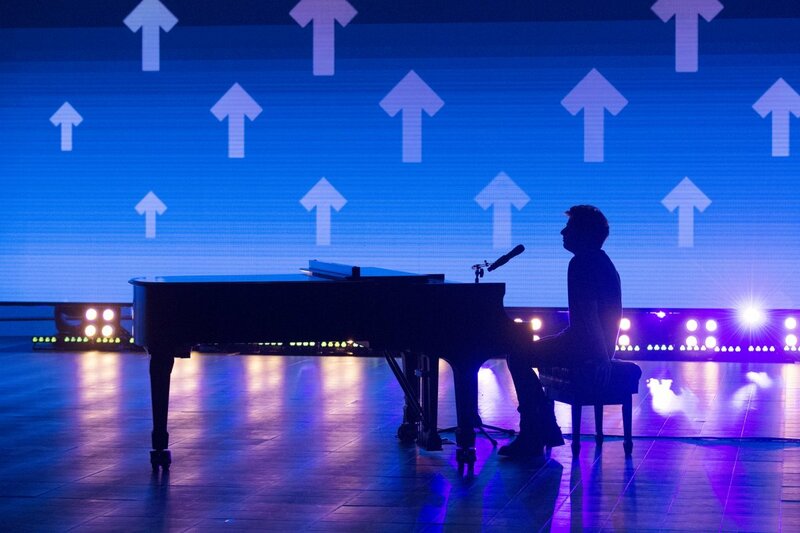 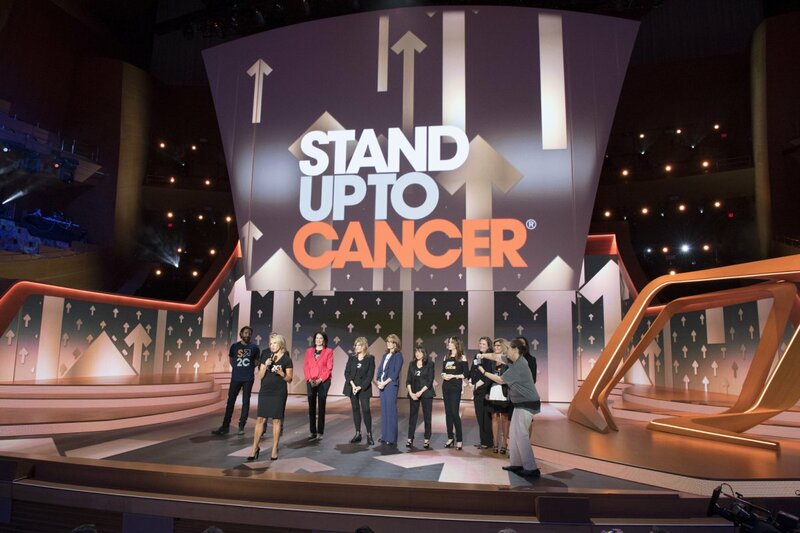 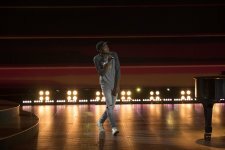 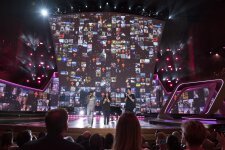 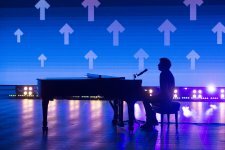 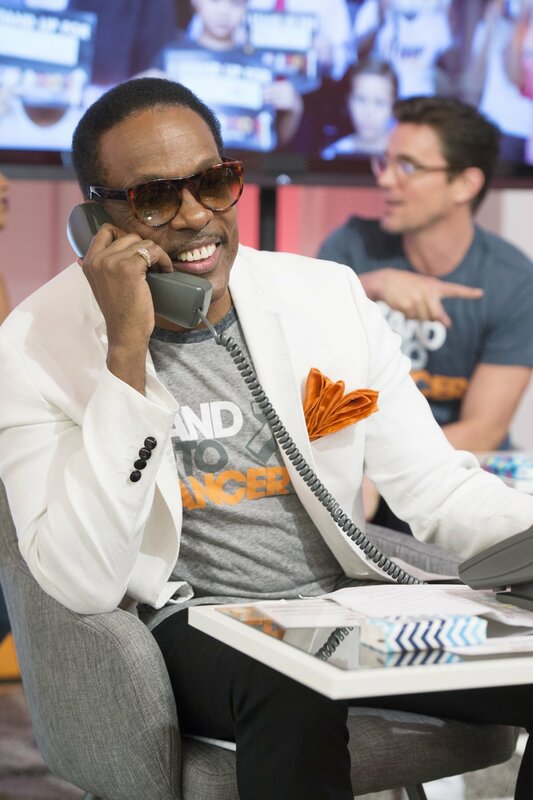 Some of the biggest names in Hollywood came together at the 2016 Stand Up to Cancer to raise money for cancer research. 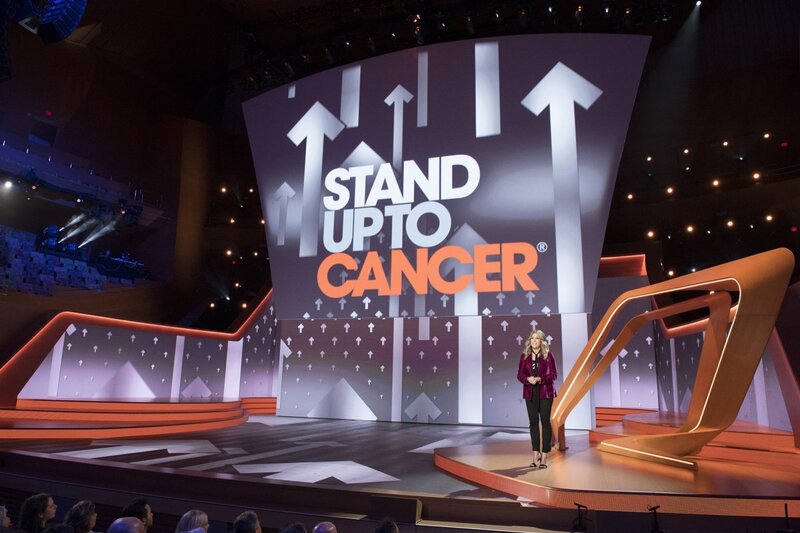 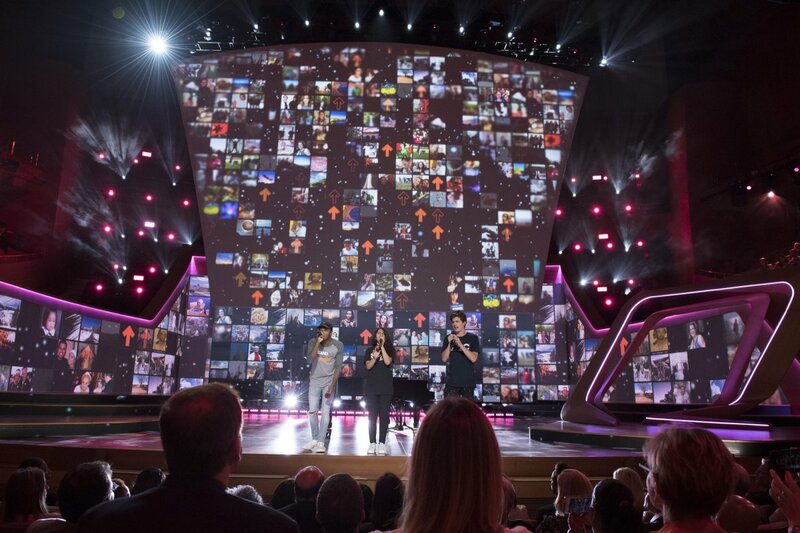 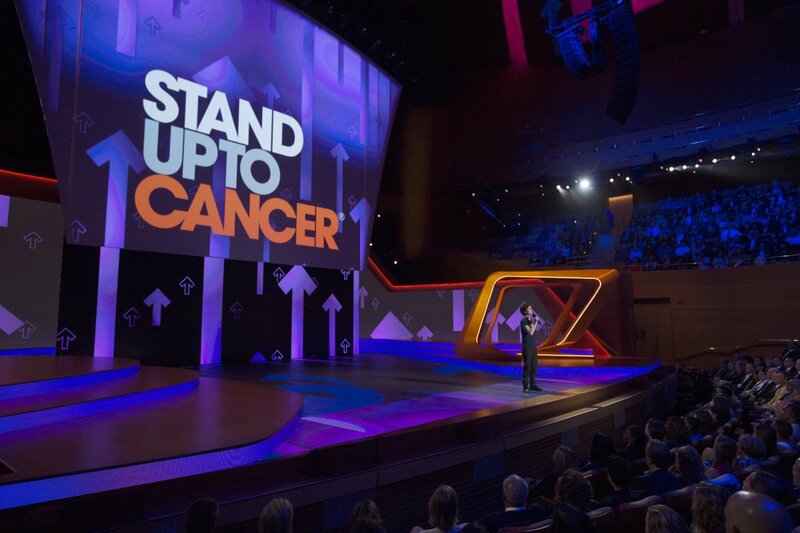 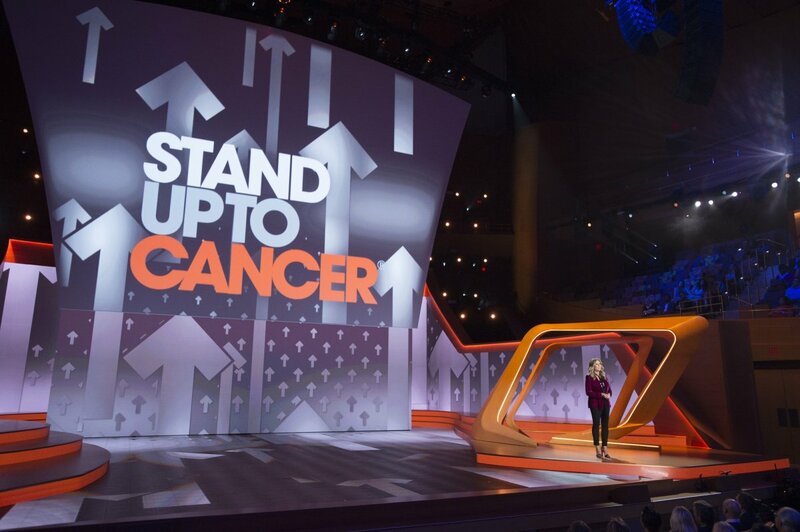 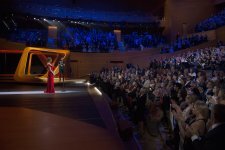 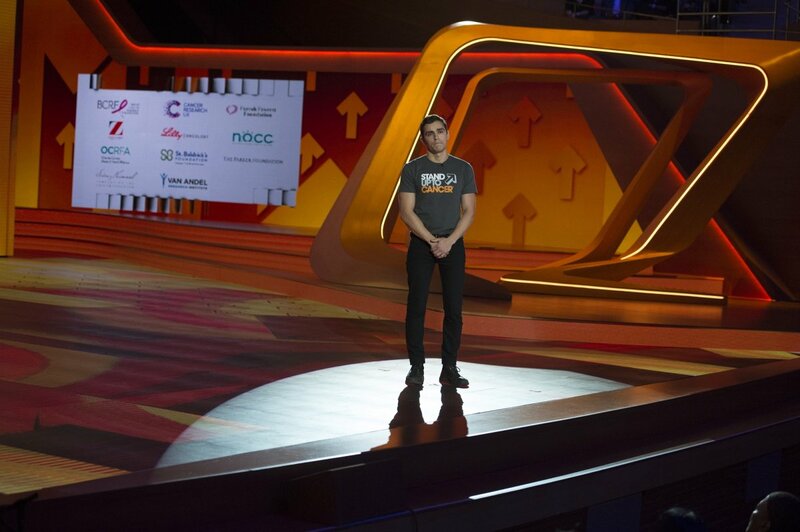 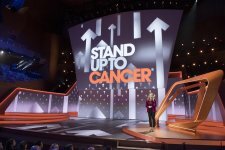 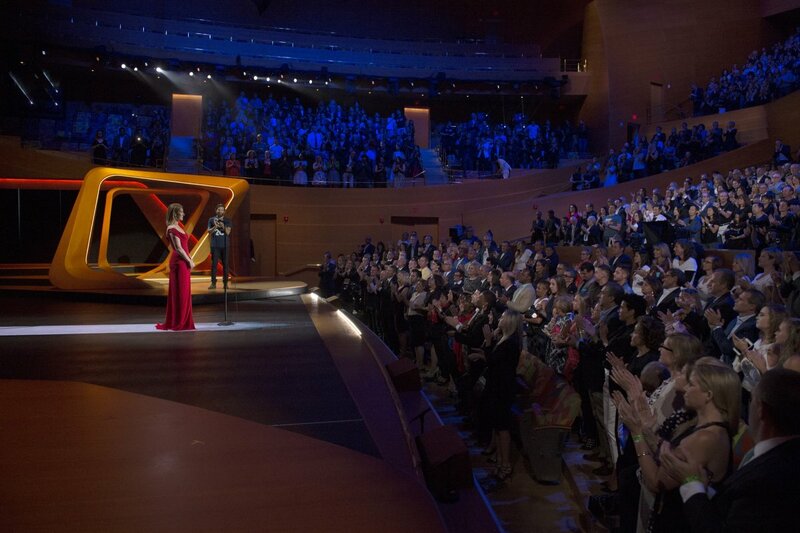 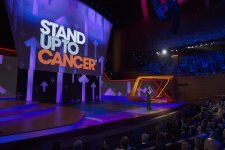 During the telecast, Couric, who is one of the SU2C foundation's cofounders, discussed the importance of finding a cure for cancer through innovative research. 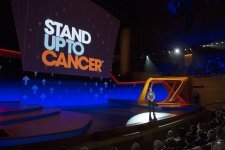 "It's such a complicated disease because it's different in every single biology," the 59-year-old journalist, who lost her first husband, Jay Monahan, to colon cancer in 1998, explained. "Some response rates are so short-lived because cancer is so intensely wily and it can outwit its fiercest opponent. 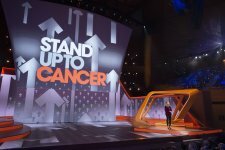 So we just have to keep figuring out ways to say, 'Oh, no you don't,' to cancer." 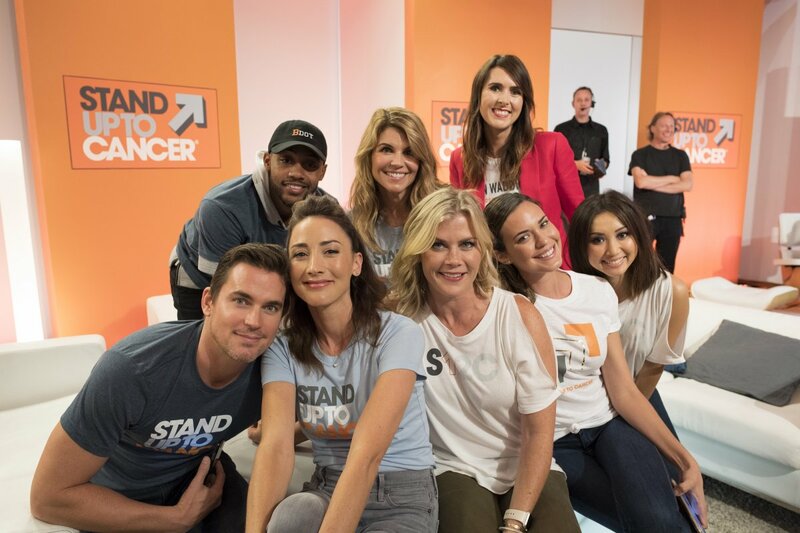 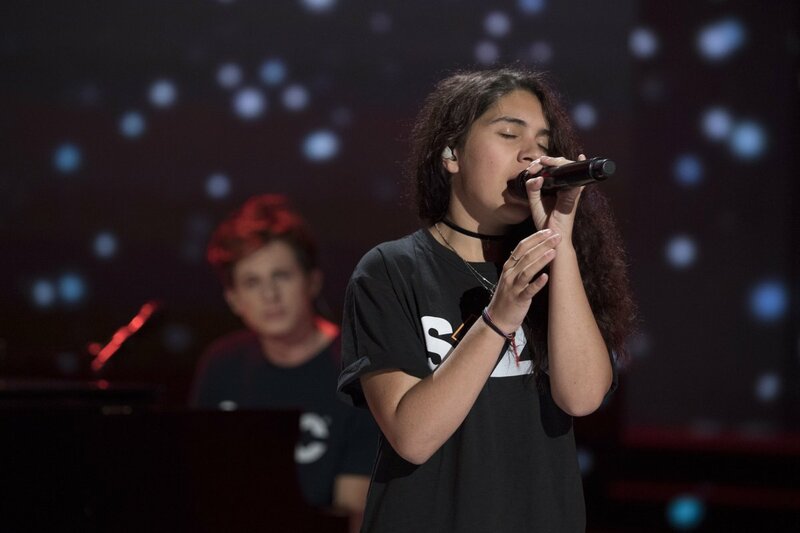 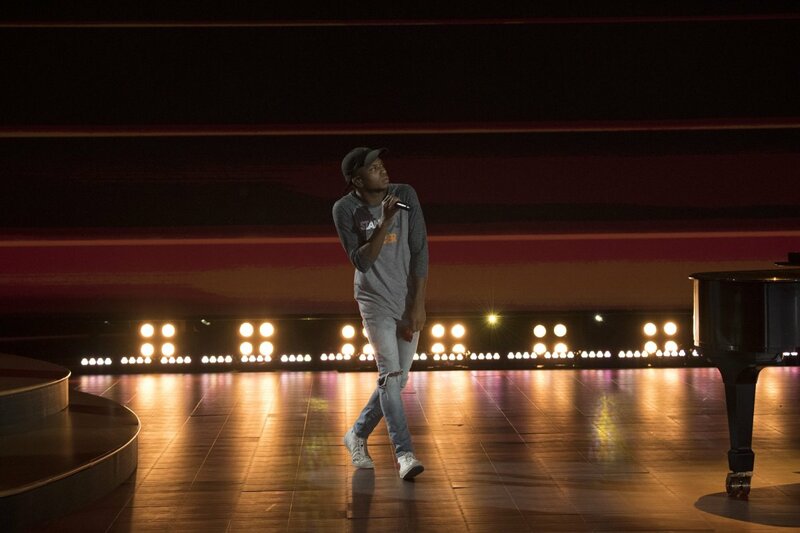 Now that my part's over, watching #StandUpToCancer and crying THE MOST!! 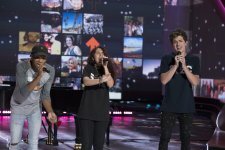 Amazing cause, and the show has me laughing/crying every 2 seconds! 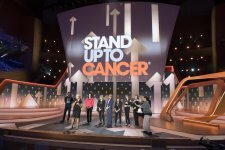 Throughout the evening, a handful of celebrity cancer survivors and those currently undergoing treatment opened about their battles. 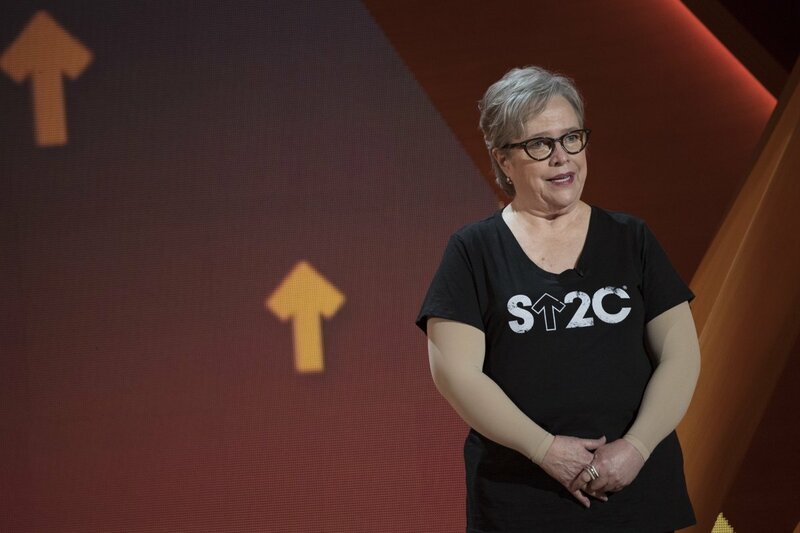 Bates, who attended the fundraiser for the first time this year, is a two-time cancer survivor; she beat ovarian cancer in 2003 and breast cancer in 2012. 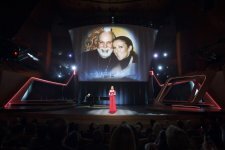 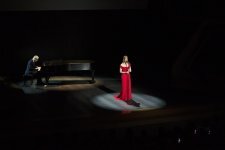 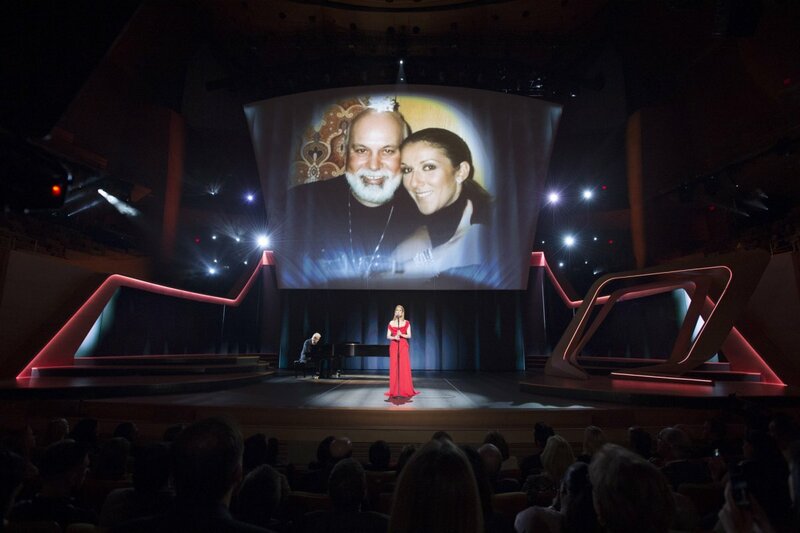 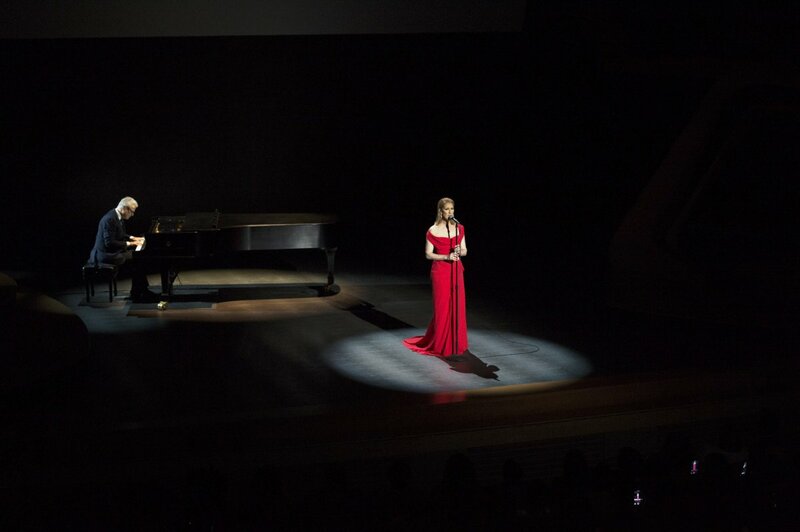 The night ended with Celine Dion heartfelt performance of her new song "Recovering" (which was written by Pink) as a tribute to her late husband René Angélil, who died earlier this year following a long battle with throat cancer.